The Staff was wonderful as usual, especially the restaurant staff. We ate most often in the Market Seafood Restaurant, with a wonderful buffet or off the menu. The wait staff with Eriberto, Enrique, Carlos and the others were so attentive and seemed always happy to be of service. The menu at Seafood Market provides a truly sensational experience for the palate of each and every guest that visits the Puerto Vallarta restaurant at Villa del Palmar. The delicious flavors, savory aromas, perfectly contemplated textures, and colorful fresh ingredients come together to create a feast for one’s senses. 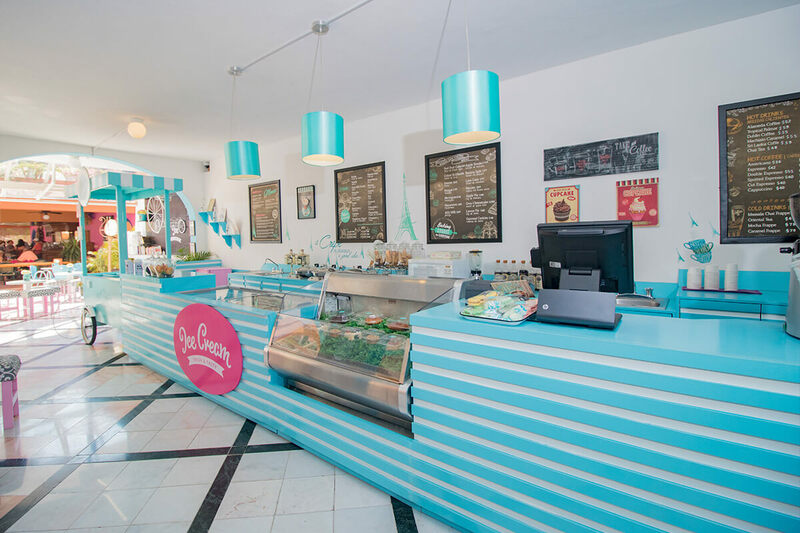 Whether opting for one of the delicious Mexican specialties for breakfast or a variety of seafood platters for lunch and dinner, you are sure to enjoy a delightful meal that you’ll be raving about throughout your stay. 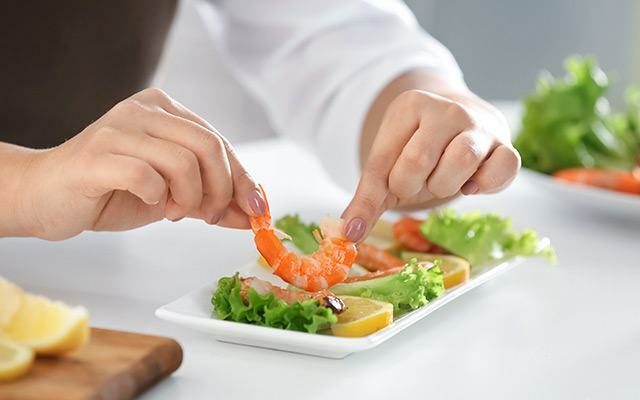 At Seafood Market, guests can dine in the comfort of the outdoor eatery, while enjoying a delectable breakfast buffet or a la carte options that include traditional Mexican chilaquiles, ranchero eggs, and so much more. 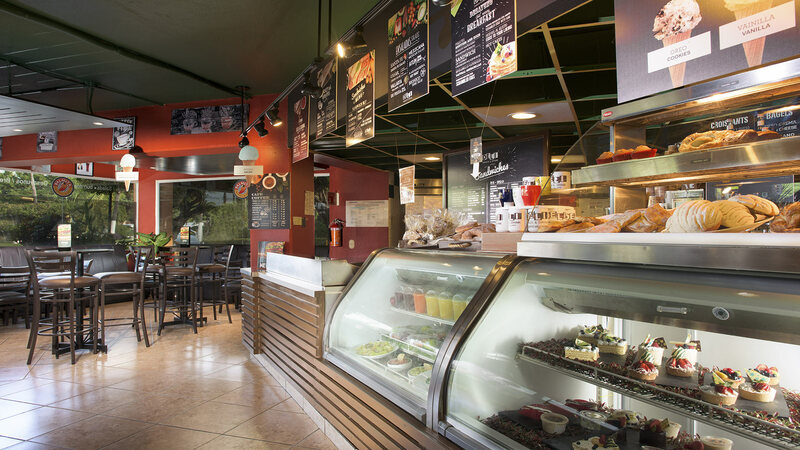 For lunch and dinner, fresh seafood, savory chicken and steak dishes, and vegetarian options make for an incredible meal. The talented chefs at the Seafood Market work together to bring guests a flavorful culinary experience at one of the best restaurants in Puerto Vallarta. They are dedicated to creating satisfying meals that appeal to the unique tastes and cravings of all guests and they are constantly improving their techniques and changing up their menu options so that each and every dish delivers a mouthwatering experience. 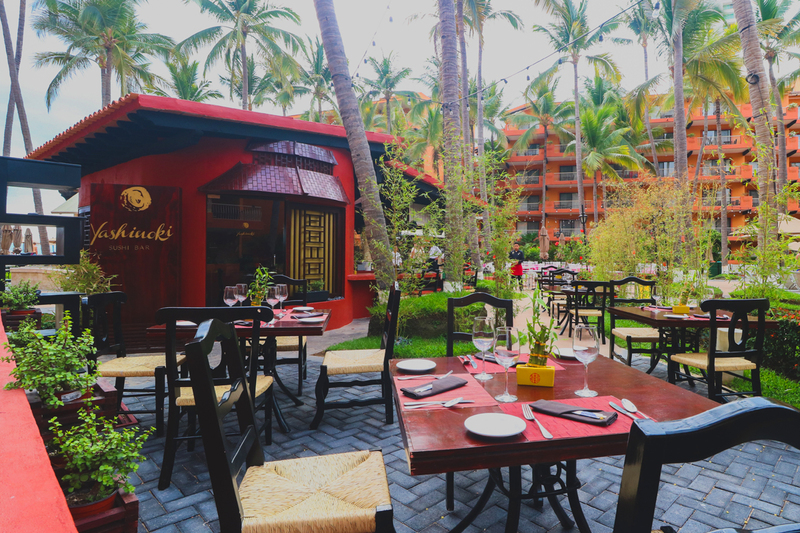 The Seafood Market Restaurant is an outdoor eatery located in between the glistening pools and tropical gardens of the optional all inclusive resort in Puerto Vallarta. As you sit under the veranda, sipping a beverage and listening to the sounds of the local birds chirping and the children playing, you’ll be reminded of all that is so spectacular about taking a vacation. Not far away, the sound of the ocean waves lapping on the shore of the beachfront property and the calm breeze that cools off the day add to the incredible ambiance that permeates the air. 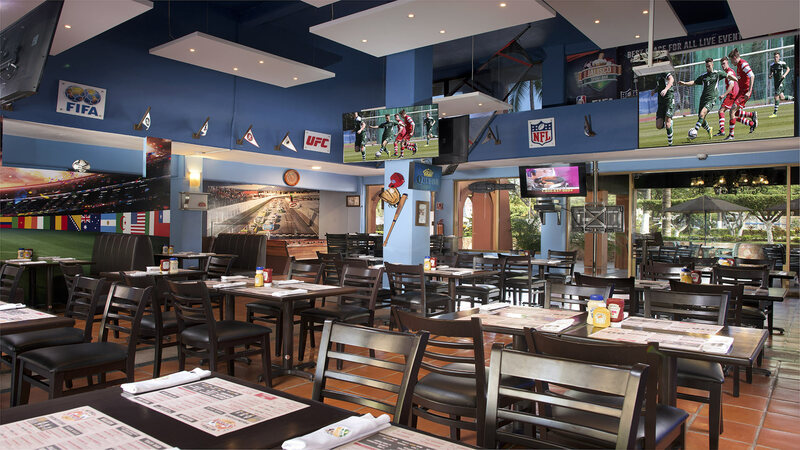 At the Seafood Market, we are elated to bring you a venue that is so much more than just an entourage of delicious meals pouring out of the kitchen; the Puerto Vallarta restaurant is truly an experience all its own. Served with ham, sausage, cheese, mushroom, chorizo or bacon. Scrambled eggs with onion, tomato and green chili pepper, served with refried beans and chilaquiles. Open faced bread with refried beans, cheese and chorizo. Served with Mexican salsa. With shredded chicken, onion, cilantro and cheese. Fresh fish marinated in lime juice, carrot, cilantro, onions, and avocado served with toast made from corn and sesame. Marlin cooked with chipotle chile, served with lettuce, avocado and Mexican salsa. Served with french fries and tartar dressing. Fresh marlin marinated in vinegar with onion, carrot and serrano pepper. flavored with laurel and oregano. Pacific shrimp served with cocktail sauce and avocado. Marlin Tostadas with onion, and chipotle dressing. Romaine lettuce with sliced chicken tomato, boiled egg, avocado, bacon and alfalfa sprouts with blue cheese dressing. Romaine lettuce, julienne cucumber, avocado, carrots, alfalfa sprouts, and fresh Pacific shrimp, accompanied by Aurora cognac dressing. Shrimp, fish, scallops, squid and mussels, mixed with cucumber, tomato, onion, cilantro, and lime juice. Mixed lettuce, breaded chicken breast, avocado, tomato, corn kernels, and ranch dressing. Fish soup with essence of chile chipotle, avocado, vegetables and red snapper. Traditional chicken broth with vegetables, rice, avocado, onion, cilantro and serrano chile. Linguini pasta with tomato sauce and seasonal seafood served with parmesan cheese and garlic toast. Creamy sauce served with ham and parmesan cheese. Tomato sauce with olive oil, basil and roasted garlic, topped with parmesan cheese. 6oz Certified Angus Beef, served with lettuce, tomato, onion, pickles, American cheese, and French fries. Gratin chicken breast with mozzarella cheese, lettuce, tomato, onion and pickles served with French fries. Garlic shrimp au gratin, served on a cajun burger bun with tomato, onion, soy sprout and chipotle dressing. Fresh Tuna salad with avocado, tomato and lettuce, served with french fries. Thin slices of carrot, pumpkin, tomato, lettuce and panela cheese, served with French fries. Chicken breast served with mashed potatoes and buttered vegetables with three pepper sauce. Two skewers with beef, shrimp and grilled peppers and onions served with rice, vegetables and mushroom sauce. Certified Angus Beef, served with french fries, vegetables and gravy sauce. Crab, clams, mussels, squid, shrimp and octopus served with rice. Smoked Marlin, served with peppers, onion, lettuce and chipotle dressing. Garlic shrimp with peppers, onions, lettuce, cheese and chipotle dressing. Apples roasted with essence of fine herbs and honey, served with mixed lettuces, cherry tomatoes and goat cheese. served with romaine lettuce, carrots and tartar dressing. Fresh arugula, spinach, roasted peppers and artichoke topped with blue cheese dressing. with shrimp, topped with coconut and mint dressing. served with palm hearts, olives, boiled egg, and fried capers with lime-pepper dressing. Fresh seafood from the Pacific, shrimp, clam scallops, mussels, squid, fish and crab. Mahi-mahi fish fillet with a traditional Veracruz style sauce with peppers, olives and capers served with green rice. Clam scallops, mussels, calamari, shrimp and fish fillet sauteed with meuniere sauce, served with creamy rice and vegetables. Stuffed with mushrooms and spinach, served with pink pepper sauce, mashed potatoes and vegetables. Roasted with butter and garlic, served with potato straws, mushrooms with spinach. Stuffed with cream cheese and wrapped with bacon, served with white rice. Grilled flank steak with provolone cheese au gratin, with mushroom sauce and served with baked potato and grilled zucchini. Fish fillet marinated with a chile guajillo dressing, served with rice and grilled vegetables. Your choice of: garlic, buttered, deviled (spicy), or scampi, served with rice and buttered vegetables.